This may come as a huge surprise, but I have a tendency to be a worrier and can find myself pretty full of anxiety at times. This hasn’t become much better since becoming pregnant pregnancy. I find myself worrying about the most outrageous things. I have learned to use breathing methods and to counter the irrational fears with the rational realities. One of those irrational fears can be travel. 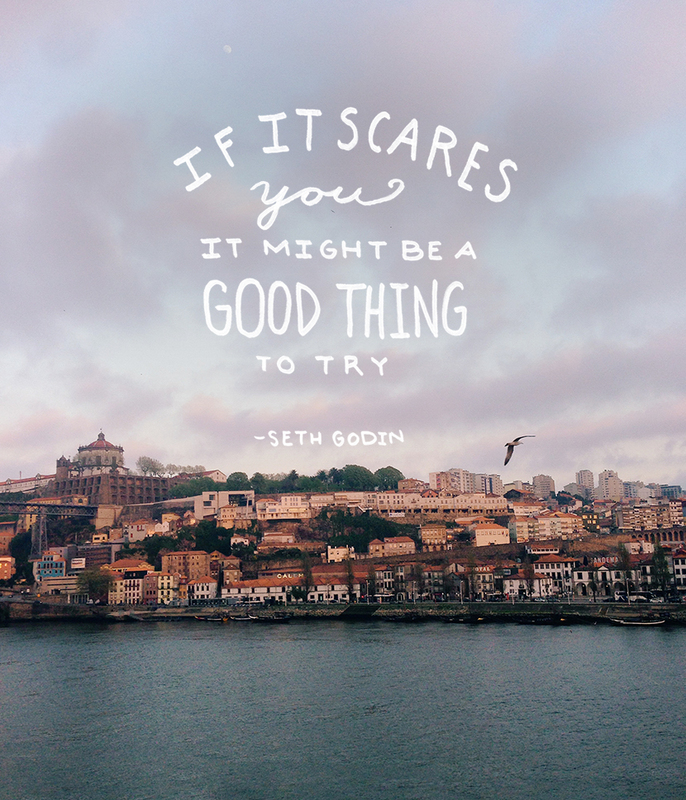 Yes, the girl who lives for a good trip also fears it. I grew up with a grandmother who went very few places because she allowed her worry to get the best of her. I have always seen this tendency in myself. I worry and get so anxious before any trip…no matter what. The summer between my junior and senior year in college I challenged myself to face major fears and travel to China all alone. I was frightened; there was no doubt, and when I arrived I remember crying in my hotel room after 72 hours of travel through places that felt so foreign to me. That is still one of those moments I am proud of myself for in my life because I knew at that age if I could do that, I could do most anything. The other time I had irrational fears related to travel was heading to Cape Town. I realized our flight was 16 hours, and I panicked realizing how far we were going and what if I got appendicitis in the air. Yeah, I tell ya, irrational. I still went. I didn’t get appendicitis, and I saw one of the most beautiful places I have ever been. The flight back was a breeze. This time is no different. We leave for London today and last Tuesday morning I balled and told Mike we shouldn’t go. It was all fear. I was scared that something would happen to harm our little guy or about rocking our safe little routine of life right now. So many things went through my head. I wanted to call it quits and let myself off the hook for absolutely no reason other than fear. I am perfectly healthy, he is perfectly healthy, women do it all the time more often than we will and much later in pregnancy, and the list goes on to rationally counter my fears. After I let it all out to Mike, he told me we need to go, which, of course, made me mad. He said we needed to go because I was afraid. He reminded me that there will be a million things in the months and years ahead to be fearful of, and we will take each one as they come, but this one this is an opportunity to grow. He reminded me of how good it will feel to land in London and feel success that I overcame the fear that was about to hold us back. I knew right then and there he was right. He was the voice of reason I needed to clear the fog of my anxiety. I don’t expect the trip over to London to be comfortable. The idea of not getting good sleep right now is my greatest nightmare and not to mention jet lag, but thankfully we have a good place to land and rest up once we arrive. What I learn in each of these moments is that there will always be fear in my life. It is how I am wired underneath all the strength I try to have. Fear offers a choice to either listen to them and control life or face them and grow from them. This time will be no different. I have faced a lot of fears while traveling and sometimes those moments have been just as important in my personal growth as the things I experience along the way. I hope that inspires you into this new week. We have a lot of content scheduled for you while we are traveling. Don’t forget to follow our Instagram for shots of our trip. We will be posting some thoughts on Fridays about our trip, but other than that Instagram is the best place to follow along for now! We are actually going to London. The photo was taken a year or more back from when we were in Porto. We loved it. Here I was thinking I was the only one that got stressed over such exciting things. I’m someone that is super relaxed if everything is organised well in advance, but if not, I completely freak out, including travel (and don’t even get me started on travelling by myself!). I think it’s normal to stress about travelling when pregnant though, but we all know that by the time you get there, you’ll have the most amazing time and not regret a thing. Another really wonderful and inspiring post. Love this, and i can completely relate. I have awful flight anxiety that at times, has left me having a panic attack at the gate and wantIng to back out of the trip! I have always forced myself yo accept the challenge, and am grateful for all the travel i have been able to do — i just wish i could be calmer about getting to my destination. I hope you have a wonderful, streSs-free time in London and i can’t wait to follow your journey on Instagram! Oh gosh, I am right there with you. Anxiety is the worst. I didn’t really struggle with it until after college, but man, did it hit full force! I went to Switzerland earlier this year, and in the weeks leading up to it, I had the worst anxiety I’ve ever felt, to the point where I almost canceled the trip. I decided to push through it though, and it ended up being one of the best trips I’ve ever taken. Thanks for sharing this—it’s always so good to know that others struggle with the exact same kinds of fear, yet still choose to push through it. I needed this today, I was jsut worrying about a trip that I wanted to make, but wasn’t sure if I should spend the money on the trip. Sometimes we’ve just got to do what feels right. And then, at 25 I became a mother. And you know what? I overcame most of my fears and feel so much stronger now! I’m an example to a tiny little human now, so I have to show her how to be strong. When you feel scared, think the same thing: hold strong for you little man. Give yourself the opportunity to freak out sometimes, but mostly: be strong! Also, enjoy this trip! I’ve taken trips with a baby in my belly up until 8 months! Also, take your husband’s advice and remember it for the coming months: it might be scary to come out of your comfort zone, especially once the little one comes in. But you will feel so much better when you do and feel so strong and confident: and that is the greatest gift you can give to your baby: a strong and happy momma! Such the perfect piece of inspiration! I needed this this week too! I too get anxious whenever I have to travel. It’s not so much I am scared of the plane falling out of the sky or losing my wallet and passport in a country where few people speak english…it is more of a fear of change. Change scares me. Whether I am traveling a few hours to Palm Springs or flying to Mumbai. New things are scarey, but every time I visit somewhere new, I never regret it! I have always been a worrier. Becoming a parent (I’m two years in) has been an interesting journey in that regard. In one sense, being pregnant and being completely responsible for another human being has raised my anxiety level to unprecedented levels. I mean, yikes, there are a lot of things you can worry about with a kid! But don’t lose faith because in another sense, being a mother has relieved anxiety in that I must do things that make me uncomfortable and therefore I am always facing my fears – which is often the best thing, as you point out. Being a role model has forced me to finally find more strength and calm than ever before and made me want to tackle anything, fearless in a way, though not free from the worry if that makes sense. Anyway, I hope you find calm too. And thank you for sharing these personal thoughts, I know it helps me to remember that lots of people have the same concerns and anxieties. Have a lovely trip!